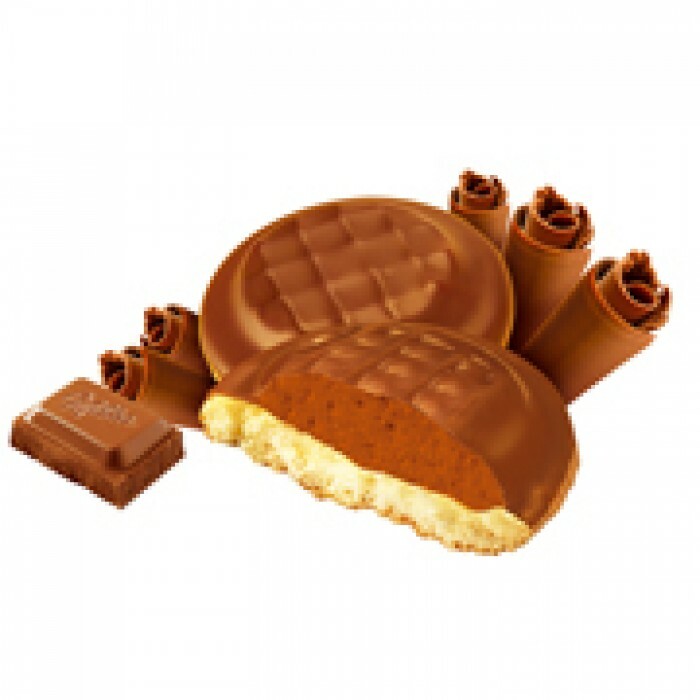 Milka ChocoJaffa Biscuits Chocolate - delicious biscuits filled with chocolate mousse (46%), coated with milk chocolate with Alpine milk (20%). Sugar, glucose-fructose syrup, wheat flour, eggs, cocoa butter, skimmed milk powder, cocoa paste, potato starch, whey powder, canola oil, butter, gelling agent (pectin Amidated), coloring (caramel ammonium, vegetable charcoal, mixed carotenes), dried egg whites, flavorings, emulsifiers (soy lecithin, E476, E471), hazelnut paste, salt, raising agent (ammonium carbonate), acidity regulator (citric acid). Milk chocolate contains at least 30% cocoa. APPEAR ON WHEAT, EGGS, soy COMPONENT, milk, hazelnuts. CAN there are traces of other nuts. 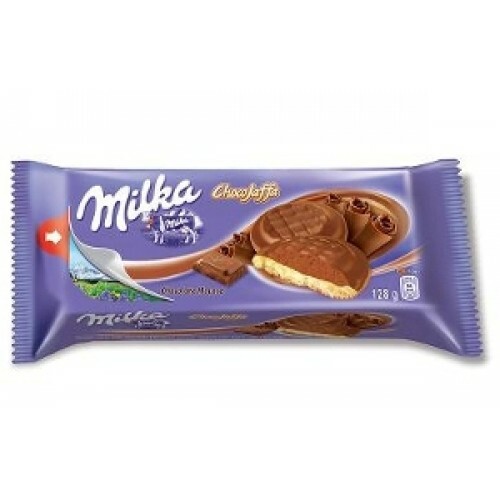 Enjoy the classic shortbread Milka ChocoBiscuit fine and delicate Milka Alpine Milk Chocolate - n..